February 2012 – Decrepitude and Other Beautiful Images……. Eileen and I went to Mike’s Place which is a bar in Israel that caters to English-speaking patrons. On Fridays they have an open mic for local musicians to gather and jam. Most of the music was adequate at best. This is a performance though that we both enjoyed. Coming to Cuba I eagerly anticipated seeing the ‘vintage’ cars that I had heard so much of. And yes, there were plenty of them, which will be featured in future blogs. The one thing that I found interesting was that ‘alternative’ forms of transportation were also frequently used. Ernesto “Che” Guevara commonly known as Che, was born in Argentina in 1928. He was caught (with CIA assistance) in Bolivia and executed by the Bolivian army in 1967. 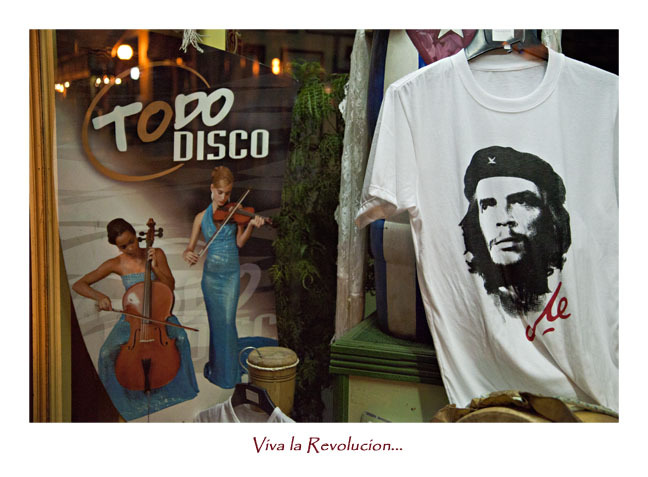 Che was trained as a medical doctor and traveled throughout Latin America to serve the poor. His experiences there set the foundation for the rest of his life. 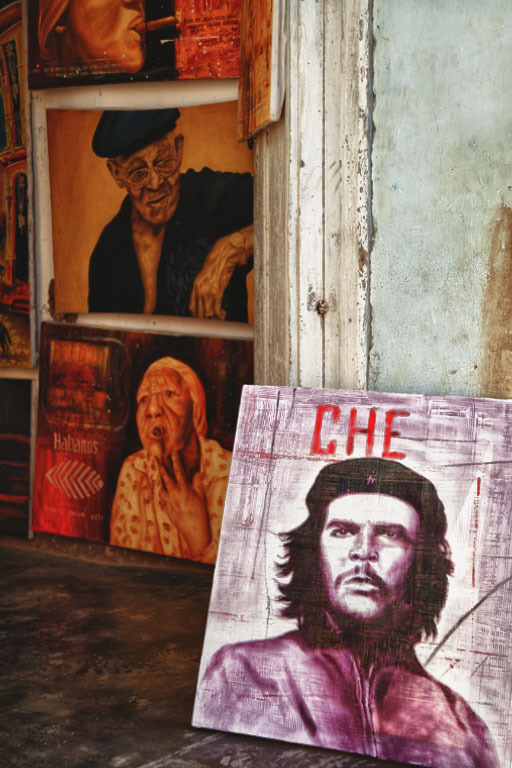 Che was a Marxist revolutionary, a diplomat, a guerilla leader and an author. 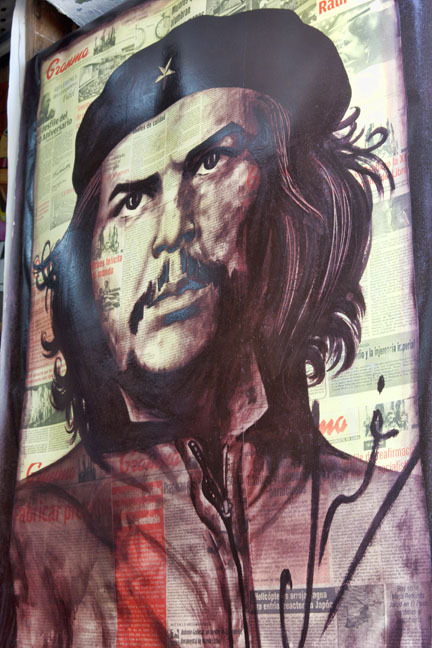 Che met Raul and Fidel Castro while living in Mexico City and joined their 26th of July Movement with the intent to overthrow the Cuban dictator Fulgenico Batista. 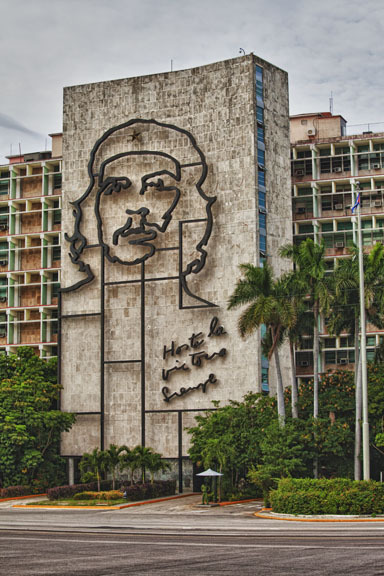 Che became a prominent leader in the Cuban Revolution and became second in command, just below Fidel. He worked in the Cuban government until 1965 when he left the island to promote revolution in the Congo and then later on in Bolivia. 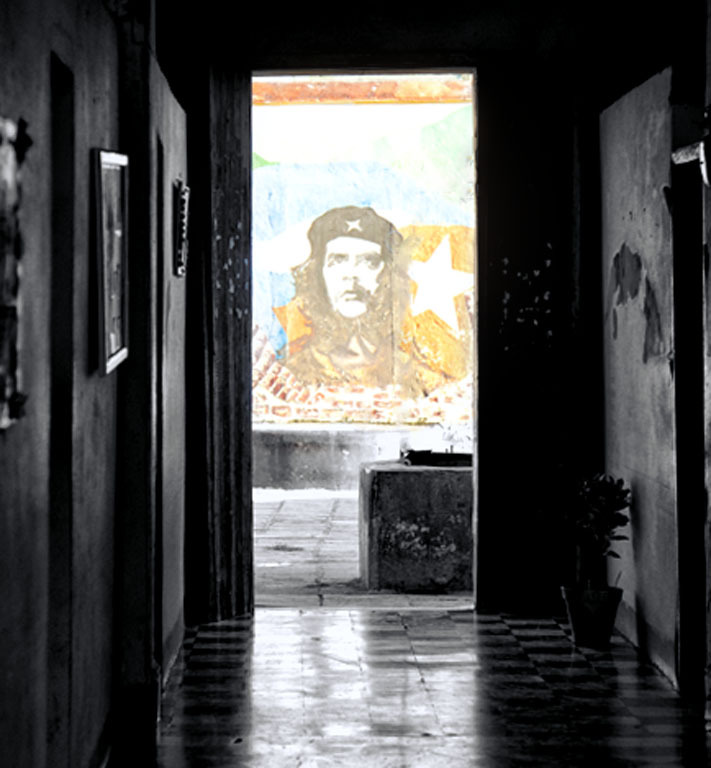 In Cuba, Che appears to be a very revered character and his images are found all over the island. (Click on first image to see slideshow). 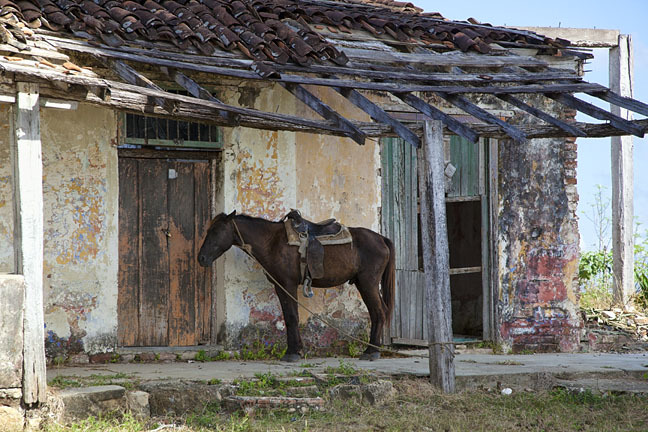 Our trip to Cuba was put together by Dan Sniffin to help celebrate his 70th birthday. There were 13 of us, 11 from the US and two friends of Dan’s from Germany met us in Cuba. All but one were photographers. Roy Carlson is an excellent musician and a good friend of Dan’s who also joined us on this trip. Roy wasn’t the only musician on the trip. Jim Dunaway is also an accomplished musician. Tony Sweet was a drummer in a previous lifetime and John Barclay also has a musical background. Little did we know the Joe Farrell could play as well. Here is Joe showing off his skills as he joined a group of musicians for an impromptu jam session. Now tell me the truth, doesn’t he look ‘as happy as a pig in s…’? Jewish tradition teaches that the Temple Mount is the focal point of creation. In the center of the mountain lies the “Foundation Stone” of the world. Here Adam came into being. Here Abraham, Isaac, and Jacob served G-d. The First and Second Temples were built upon this mountain. The Ark of the Covenant was set upon the Foundation Stone itself. Jerusalem was chosen by G-d as the dwelling place of the Shechinah (the dwelling or settling of the divine presence of G-d, especially in the Temple in Jerusalem) David longed to build the Temple, and Solomon his son built the First temple about 3,000 years ago. It was destroyed by the Nevuchadnezzar of Babylon. The Second Temple was rebuilt on its ruins seventy years later. It was razed by the Roman legions over 1900 years ago. The present Western Wall is a remnant of the western Temple Mount retaining walls. Jews have prayed in its shadow for hundreds of years, an expression of their faith in the rebuilding of the Temple. The Sages said about it: “The Divine Presence never moves from the Western Wall.” The Temple Mount continues to be the focus of prayer for Jews from all over the world. The following video gives the viewer an inside look at the Kotel. I hope that you enjoy watching it. 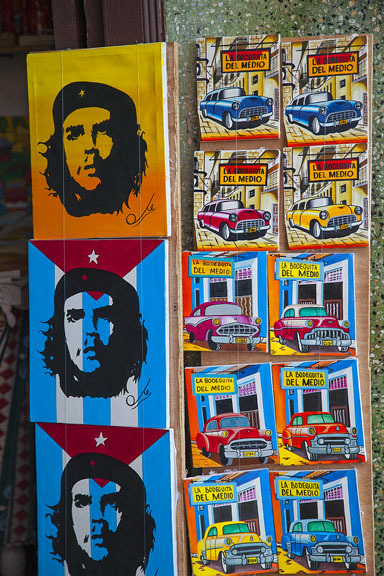 Fellow photographer and friend Joe Farrell and I spent part of one of our days in Havana wandering around the Chinatown section. We came upon The Iglesia Nuestra Señora de la Caridad del Cobre a beautiful Roman Catholic Church located in the heart of the Chinatown area. The church was erected in 1802 and features exquisite statuary, stained-glass windows, and a gilt altar. We had hoped to shoot the interior of the church, but on this Sunday afternoon we were in for a pleasant surprise. The church was performing multiple Baptisms and photography was encouraged. I can’t tell you how wonderful the families and friends were to us, especially when they saw our cameras. Families would eagerly pose to have their picture taken and loved to view their images on the LCD screen on the back of my camera. It was a warm and friendly event which reflected on how we felt about the Cuban people in general. Below is a sideshow of some of the images taken that day. Enjoy! Joe, Scott and I took a sidetrip one day. We went to the sugar cane fields (or what is left of them). At one of our stops there was this wonderful group entertaining the visitors.